I’ll take almost any excuse to make a trip to Brattleboro, VT, so I’m delighted to be teaching workshops and private lessons at another edition of NECCA’s Circus Workshop Weekend, April 15-17. My workshop offerings are listed and linked to below; email Elsie Smith to book a private lesson with me (static trapeze, duo trapeze, handstands/handbalancing, or act development!). This workshop weekend also includes a performance of Love and Gravity by the Acrobatic Conundrum. So many great events in one small town! We’ll explore a wide variety of ways to get into a handstand (such as pressing, kicking, pushing, jumping, and creative combinations of these) and out of a handstand (including kinds of rolling, pressing, dropping, etc. 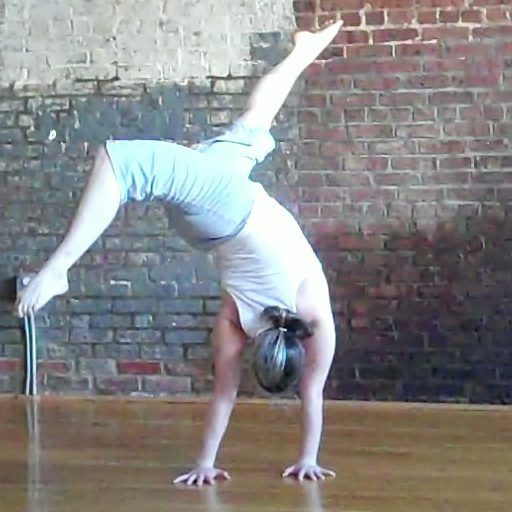 ), to shake up your handstand practice as well as to give you tools to integrate handstands into ground choreography. Register here! Take your handstands to the next level by learning how to balance higher up. 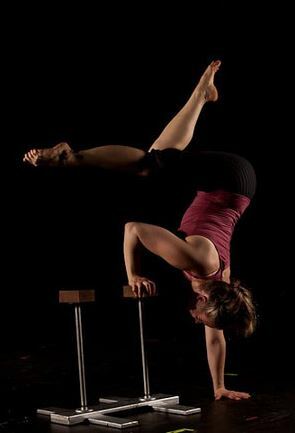 Students will start by handstanding on wooden blocks on the floor, then learn how to jump or press up onto handbalancing canes (the most common professional handbalancing apparatus), with a focus on proper hand grip, body alignment, and balancing technique. We’ll also explore two- and one-handed crocodiles (“crocs”) and handstands that use both the floor and the canes. Finally, students will learn conditioning and drills using blocks and canes to increase strength and stamina, working toward the goal of holding a handstand into eternity! Register here! Learn or refine dynamic duo trapeze moves and transitions, including beats, elevators/swan-ups, and beginning release moves. Register here!